We kick off this week’s weekend recap with the Merseyside Derby. In the table, Liverpool and Everton are actually pretty close this year, and both of them could very well be competing in Europe next season. Sadly, for Evertonians, their European ambitions suffered a little bit of a setback Saturday morning at Anfield. It took just eight minutes for Liverpool to open the scoring. 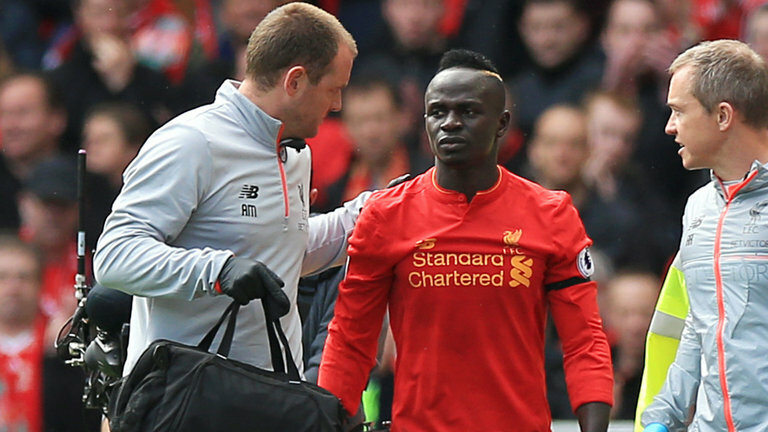 Sadio Mane, who would suffer an injury later in the match, delivered a barnstorming run through the heart of Everton’s defense before hammering a low-driven shot past Joel Robles to give the Reds a deserved lead. Ten minutes later, Philippe Coutinho came close to doubling the hosts’ advantage, but a deflection allowed Everton to clear his shot off the line. The Toffees found some hope just before the half hour mark through an unlikely source. After Liverpool failed to clear Leighton Baines’ corner kick, Matthew Pennington hammered the ball home from five yards out to level the scores. Everton’s hope was short-lived, however, as Coutinho restored the Reds lead minutes later with a beautiful curled shot into the side netting. The final dagger came in the 60th minute through Divock Origi. The Belgian, who came on to replace Mane after his injury, hit a powerful 20-yard drive past Robles to seal a 3-1 victory. The win moves Liverpool up to third in the table, while Everton remain in seventh. One match that I didn’t think I’d have to write about this weekend was Crystal Palace’s trip to Stamford Bridge to take on Chelsea. Going into the match, the Blues had more than double the point total of Palace, and they’d only lost once at home this season. Needless to say, I did experience a little bit of schadenfreude watching this one pan out. If you missed the first 15 minutes of this match, then you somehow missed every single goal there was to see. Five minutes in, some fancy footwork from Eden Hazard on the left wing, ended with Cesc Fabregas smashing home a cross from inside the six-yard-box. At that point in time, I’m sure that 90 percent of the stadium assumed that they were in for a very one-sided match. “Big” Sam Alladryce’s men had other plans. Four minutes after Fabregas’ opener, former Manchester United man Wilfried Zaha somehow muscled his way past three Chelsea defenders before firing a low shot into the far side-netting. Moments after Zaha’s stunner, the winger provided an assist to Christian Benteke. The big Belgian forward completed fooled his compatriot Thibault Courtois with a fake shot before delivering the cheekiest of chipped finishes to put Palace in the lead. Zaha nearly had another goal in the 61st minute, but Courtois made a kick save and a beauty to knock it wide. 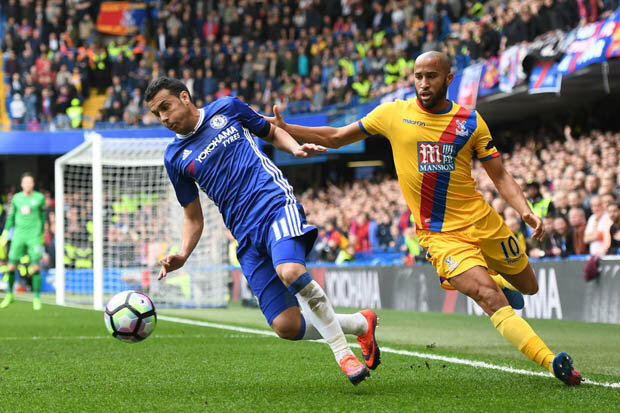 Chelsea’s attack was surprisingly muted during this fixture as they fell 2-1 to Palace. Despite the loss, Chelsea still hold on to a commanding seven-point lead atop the table. Palace now sit four points clear of the drop zone in 16th. The biggest matchup of the weekend had to be City’s trip to take on Arsenal at the Emirates. Not only for the footballing ability on display, but also because of the inevitable “Wenger Out” banners that were going to be on display. The Gunners’ poor form, as of late, has seen them drop all the way down to sixth. Would they be able to inject some life back into their season with a win over Pep’s City? Former Manchester United striker Danny Welbeck came within inches of opening the scoring against his former rivals, but his volley sailed just wide of the post in the fourth minutes. Moments later, Leroy Sane broke past his defender and rounded David Ospina before tapping into an empty net, and giving City the lead. In the 40th minute, Arsenal leveled the scores. City failed to clear the danger twice, and Theo Walcott was in the right place at the right time to put the ball into the back of the net. The joy of scoring was quickly replaced with the agony of conceding, however, as Sergio Aguero’s tight-angle finish put Manchester City back into the lead in the 42nd minute. 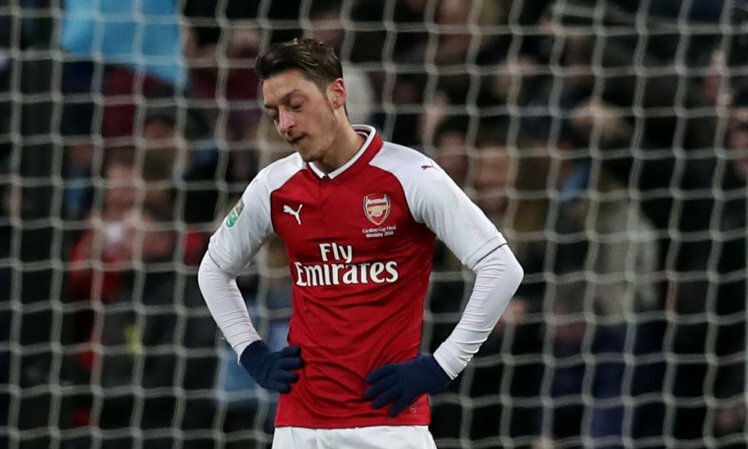 Less than ten minutes after the restart, Shkodran Mustafi got his head on Mesut Ozil’s corner kick to once again level the scores. The German’s header was the final strike of the match as Arsenal fought back for a draw. The point keeps them all the way down in sixth, and will do little to silence Wenger’s critics.